B.D. 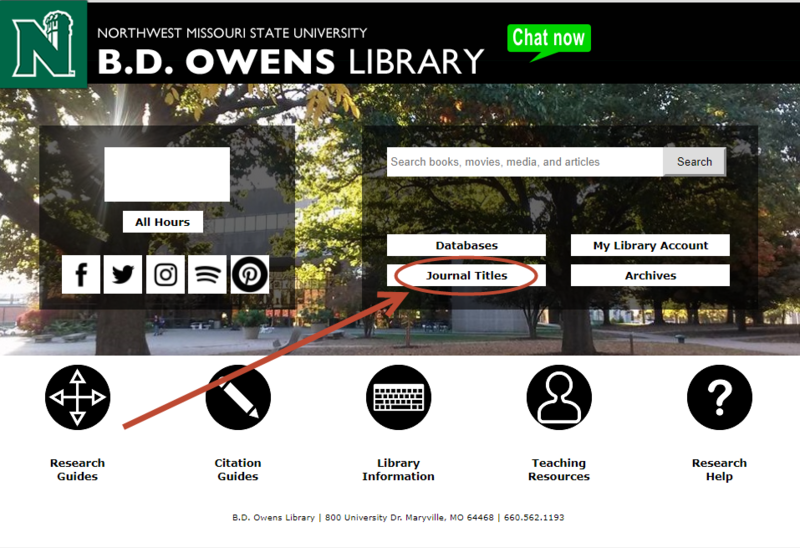 Owens has a collection of journals and periodicals that can be accessed online or in print. To access these, visit the library home page. Select Journal Titles, or click here. From this page you can search the journal by title, or you can browse the publications by discipline. Find the discipline most related to your subject and click it. Once you select a discipline, in the left column of the page you can limit your search to peer reviewed journals only. You can also select more specific subjects to browse by.